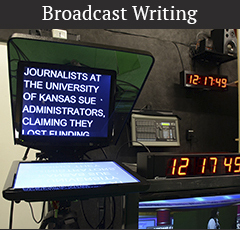 Broadcast-style writing requires a different approach than the writing you’ve done all your life. It’s linear. You’re writing to be heard, instead of to be read. That means your viewer or listener has only one chance to hear what you’re telling them and comprehend it before you move on. There is no chance to go back and re-read. So, if you’re not clear, you risk losing them. 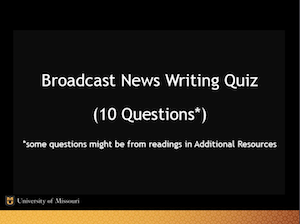 Therefore effective broadcast writing requires a level of simplicity and a conversational approach that takes practice to feel natural. Understand the concept of “writing for the ear” using short, simple sentences. Identify the difference between active and passive voice. Strengthen your writing through verb choice and tense.